Drolet Wood Stoves - Which Model Is Best For You? Drolet wood stoves are manufactured in North America having their roots in Canada. A long line of manufacturing quality products stems from this unique company which has been owned and operated by the Drolet family since 1875. Francois-Xavier Drolet was a mechanical engineer and is well known for several of his accomplishments in the engineering and manufacturing world. The Drolet wood stoves became a rich product of the manufacturing company in 1975 as a result of this manufacturer's strong interest in achieving results and providing products for sustainable infrastructures for the betterment of all in everyday living standards. Drolet wood stoves are very finely crafted with excellent workmanship not only in their functioning but also in presentation offering details and styling which are unique to Drolet products and the family's history of fine quality craftsmanship. 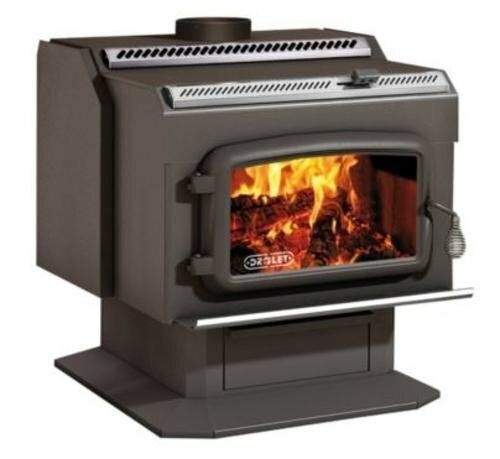 There are many wood stoves to choose from in the Drolet line, and only a few are listed here. These models were selected for their outstanding features, designs, and customer ratings, placing them in the top to give you an idea of the fine quality manufacturing and aesthetic value of the Drolet wood stove line. All of these Drolet wood stoves are EPA certified. The BTU is the heating capacity in a good location placement such as a well insulated and weatherized home or structure. The Drolet “High Efficiency” wood stove definitely lives up to its name in capacity, performance, and consumer ratings. Many use this stove as their primary heating source. 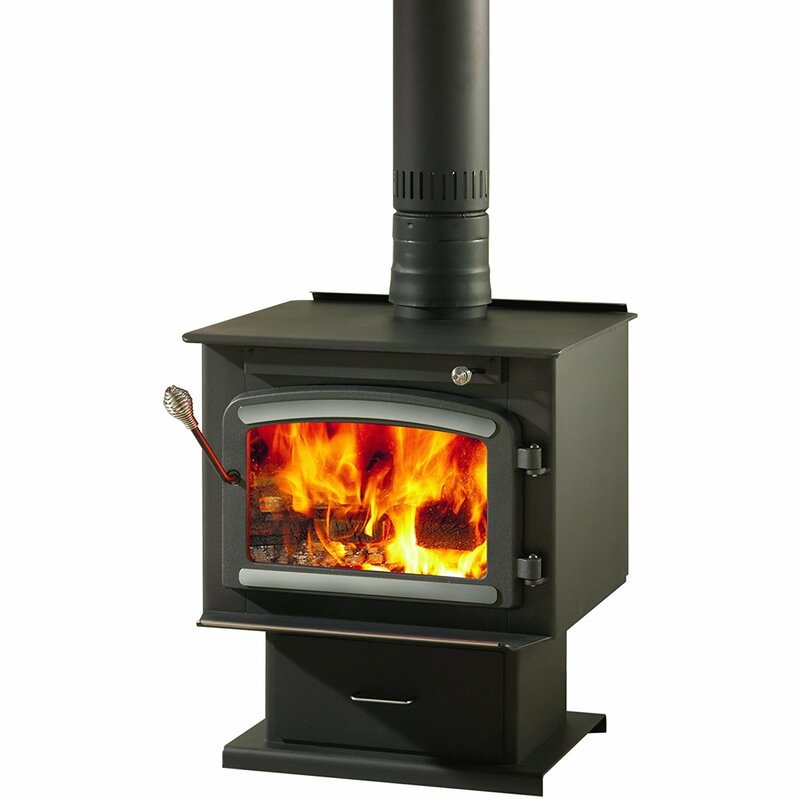 This ruggedly built high efficiency stove is capable of heating up to 2,400 square feet with hardwood in a solidly constructed home making it a large stove for a large heating area. The heavy duty cast iron feed door accepts logs up to 22 inches long and features an adjustable handle and a large viewing window for your pleasure. A single “easy-to-operate” air controller is conveniently located above the door as an added bonus for this old world charm stove with a sturdy pedestal base. A large ash drawer is in the base allowing for easy removal of ashes. The Drolet Classic wood stove speaks for itself in classic appeal and expectations. 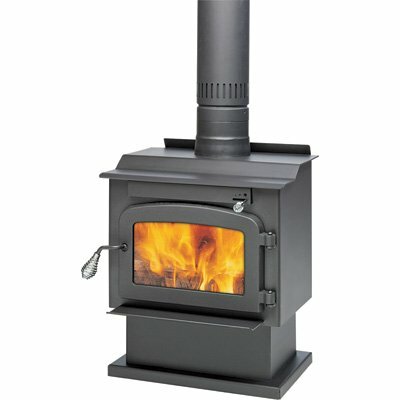 This is an overall high efficiency wood stove capable of heating up to 2,000 square feet. A large ceramic glass window perfectly placed on the feed door provides plenty of viewing opportunity and casts a nice warm glow creating the classic advantages of a steady hardwood fire in overall warmth. The premium high quality blower with variable speed adjustments distributes the clean heat in a proficient method meeting your circumstances and comfort for every moment of the day and night, as it holds a fire very well. 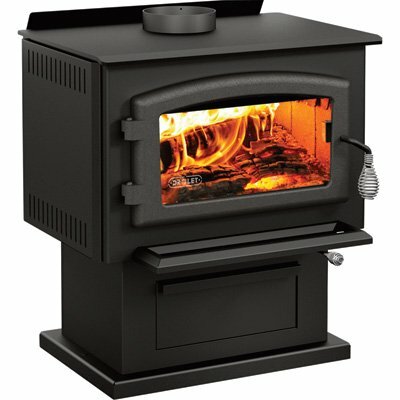 This classic stove accepts logs up to 20 inches in length, and has a large ash drawer/pan conveniently located in its base. Modern classic design graces this stove with a unique touch of brushed nickel trim adorning the feed door. The Drolet Pyropack EPA stove never seems to receive any complaints and is very convenient and easy to use making it perfect for first time wood stove users. This is a great stove for the family room or where ever you choose to place it as a solution for your extra heating needs. It is capable of heating areas up to 1,000 square feet and is a definite economic advantage in all ways from the initial cost to its efficiency in burning wood. It comes complete with a secondary air system for complete combustion of your wood creating the ultimate in clean fires along with an air washed ceramic viewing window so you can enjoy watching your fire burn in a cozy setting. The Drolet Blackcomb is high in consumer ratings with user attachment regarding efficiency and reliability. It has very sturdy heavy plate steel construction built to last with a heating capacity of up to 1,700 square feet. Many wood stoves are not designed for mobile homes, but this one is approved for safe usage in a mobile home. The burn time on a load of hardwood can run up to 8 hours, cutting it close for a full nights sleep. Customers seem not to have any problem with this and are very happy with the over all performance and rugged capabilities of this low emission designed stove on a long term basis. The Drolet Blackcomb is a good buy for your money. 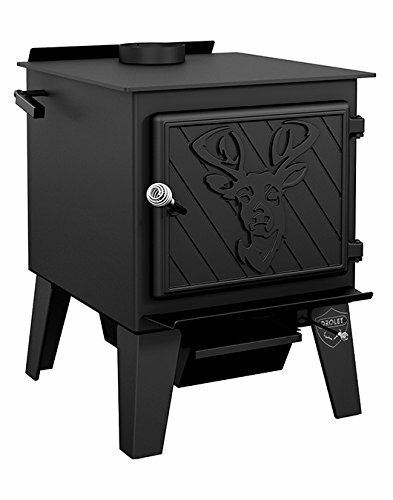 The Black Stag wood stove is very unique and beautiful with a deer (stag) relief on the solid cast iron door. This is a very powerful stove with strong heating capacities and is excellent for wherever you choose to put it. It would be wonderful in a hunting lodge, or as a major heat source centrally located in your home. It is capable of heating up to 2,100 square feet in a solidly constructed building, and has a large deep fire box which can accept logs up to 20 inches long. The fire holds nice and can burn up to 10 hours when loaded with hardwood. The Black Stag wood stove is truly one of a kind, highly functioning as a heat source, and definitely looks great. Drolet wood stoves are an excellent solution for your heating needs. Many designs and models are available for heating large areas as a primary heating source, and also for providing extra heat as needed for cabin get-a-ways, garages, or bonus rooms in your housing. As time progresses, advanced technology and innovations provide stable solutions to everyday problems in our environment, manufacturers grow with the technology creating products that are environmentally friendly. Wood stoves are no different, and the former carbon emitting and smokey stoves of the past are being replaced with environmentally friendly wood burning stoves with secondary combustion units. These burn practically all of the wood and gases creating what is called a clean fire. Drolet wood stoves are fore-bearers in up to date technology, customer satisfaction, and a wise choice to be considered as you shop for a new wood stove.